Finally – a solution to Assess; Insure; Finance; and Manage your credit risk! To assess; insure; finance and manage your trade credit risk has been the Debtsource vision since our inception in 2003. This vision has now been made a reality through a collaboration with Alternative Finance Solutions (AFS) concluded earlier this year and now ready for launch. 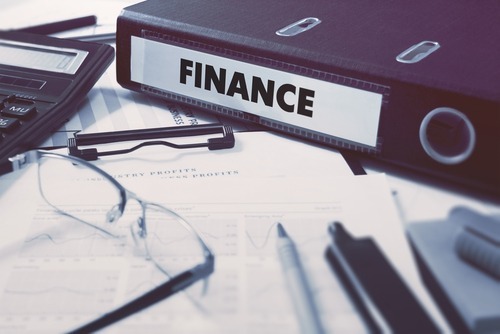 AFS specialises in debtor invoice discounting solutions and was born out of the very successful private equity firm – Preference Capital (Pty) Limited, a member of the Stonewood Capital Group. The significant advantage for Debtsource clients is the ability to assess their initial credit risk through detailed research, and then to couple approved debtors with the AFS invoice discounting solution. This solution simply means that where there is a requirement for immediate cashflow against goods sold and delivered, the client may finance their invoice and get paid straight away. What makes this solution unique is the ability to select specific invoices for funding, the nett effect of which is to reduce the overall level of funding within the business. By way of example – previously a client would have had to approach their bankers for a facility, would have had to provide extensive securities, pay prime plus x rates against the total loan amount, and potentially wait weeks before having access to capital. With the Debtsource/AFS solution a client would simply forecast when their cashflow is tight, pick certain invoices on approved debtors for funding and get paid within days. A further unique aspect of the collaboration is that AFS charges a discount fee based on a daily rate, unlike many other finance houses which charges monthly interest rates and additional fees. Thus, the funded invoice will only attract fees until fully paid by the debtor, meaning that the sooner the debt is paid, the less fee is payable. What makes this solution more exciting is that in instances where the client has elected to purchase trade credit insurance against the debtor they wish to fund, AFS will reduce their daily fee! This has significant benefit to the client as it provides almost immediate cashflow against the funded invoice and transfers the potential risk of non-payment to a trade credit insurance house. Here it is important to understand that invoice discounters including AFS do not take credit risk but are there to provide short-term liquidity only. Should the debtor therefore default in payment, Debtsource steps in to help the client manage the recovery through our limit guarantee; pre-legal and legal processes; and the processing of a claim through their nominated insurer. There can be little doubt that the proper assessment; funding; insuring; and managing of a trade credit risk, provides significant competitive advantage to clients as it ticks all the prudent boxes in managing the credit extension process. On every review conducted via Debtsource, clients are provided the option to finance that debtor as an automatic add-on. For more insight or a detailed explanation of the solution and pricing please send an e-mail to afs@debtsource.co.za or contact Debtsource on 011-348-7000.